1. This is how you can see Aavasaksa (to the right) when driving to the north on the Finnish National Road 21 (Northern Lights Road). 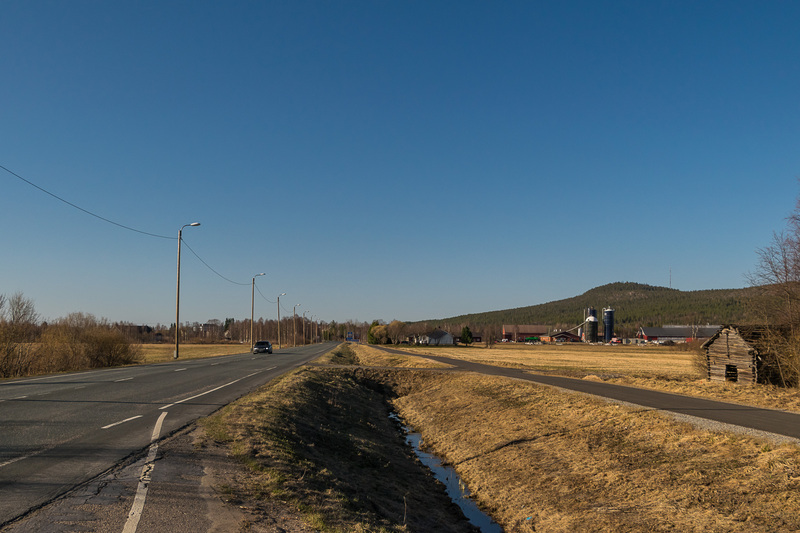 Perhaps you can even see the observaction tower on top if you open the full-size picture. 2/3. 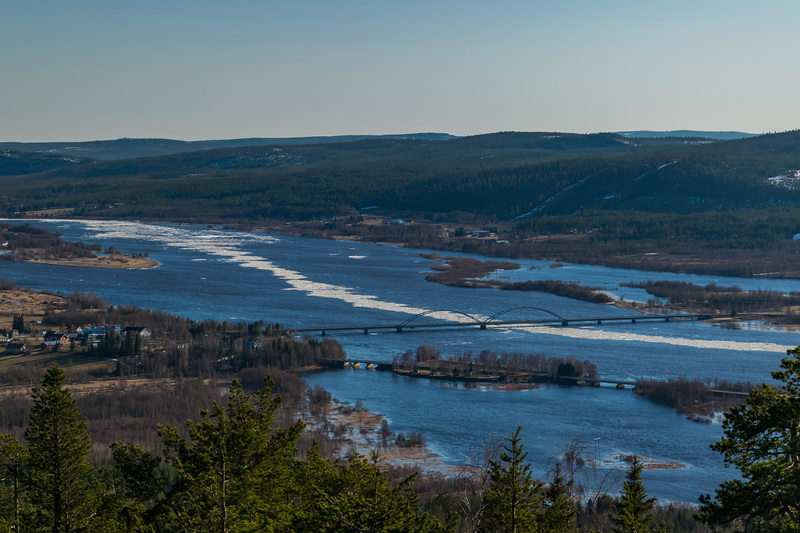 This is the view from the observation tower, in early May and in August (I happened to visit Aavasaksa twice in 2018). 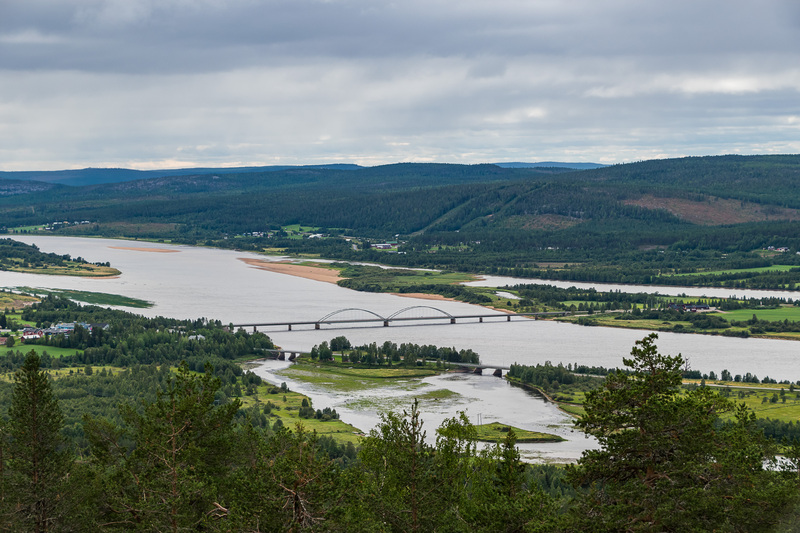 The river is Torne River (Tornionjoki/Torne älv), the border river of Finland and Sweden, and thus the bridge is a border bridge, and on the other side of the river is Sweden already. 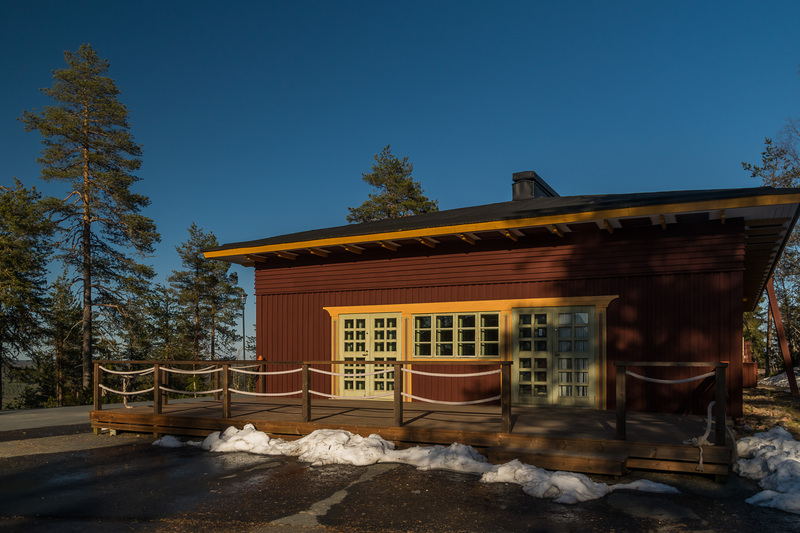 The village at the foot of Aavasaksa is also named Aavasaksa; about 5 km to the south are the twin towns of Ylitornio/Övertorneå (both meaning Upper Tornio in Finnish/Swedish) on both sides of the river. 5. 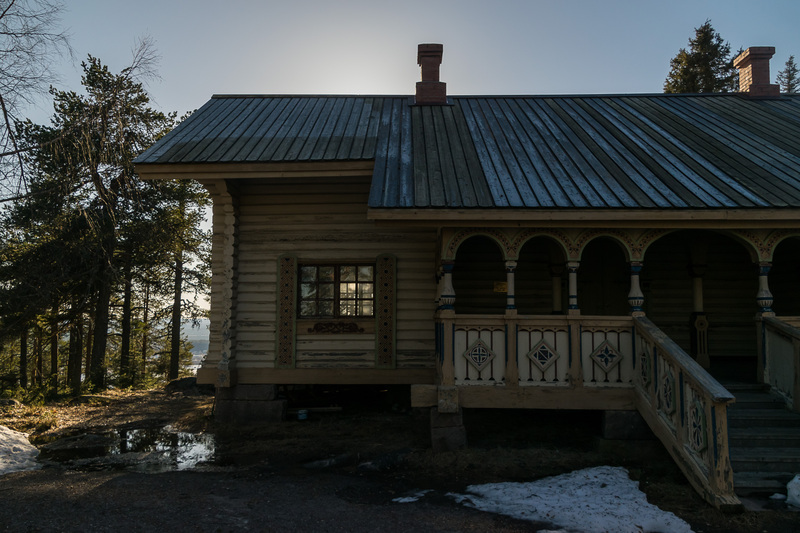 View from the side of Aavasaksa. 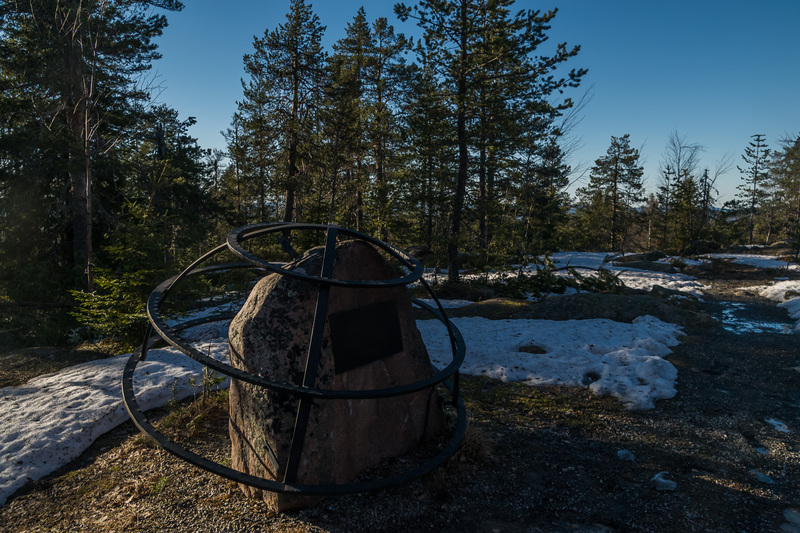 On Midsummer you should be able to see midnight sun from here. 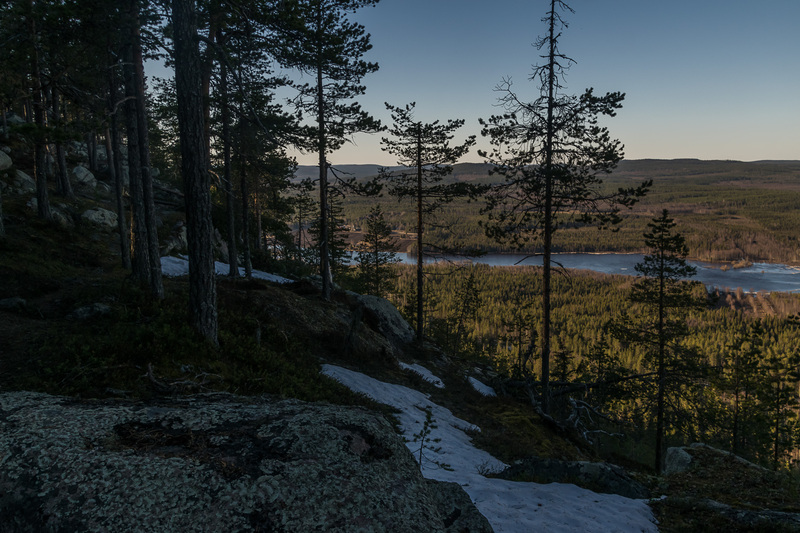 At the foot of this side of the mountain is Tengeliö River. 8. 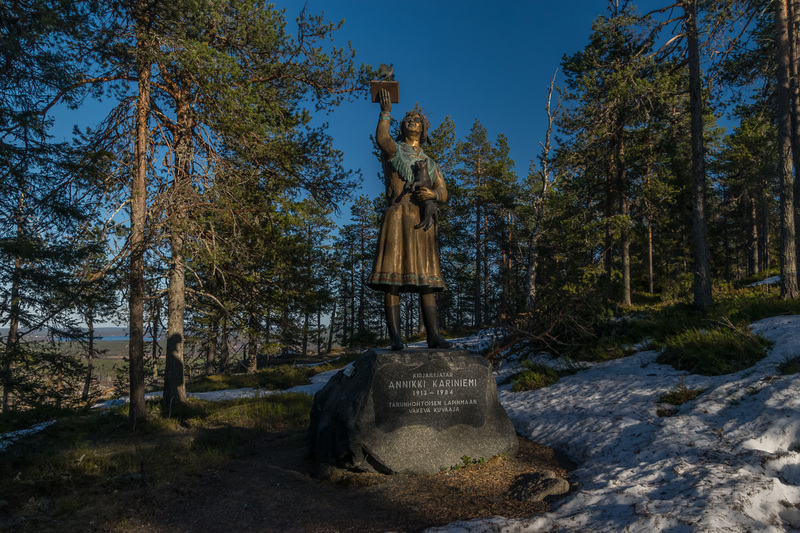 There is also a monument to Annikki Kariniemi, the first female writer from Lapland. 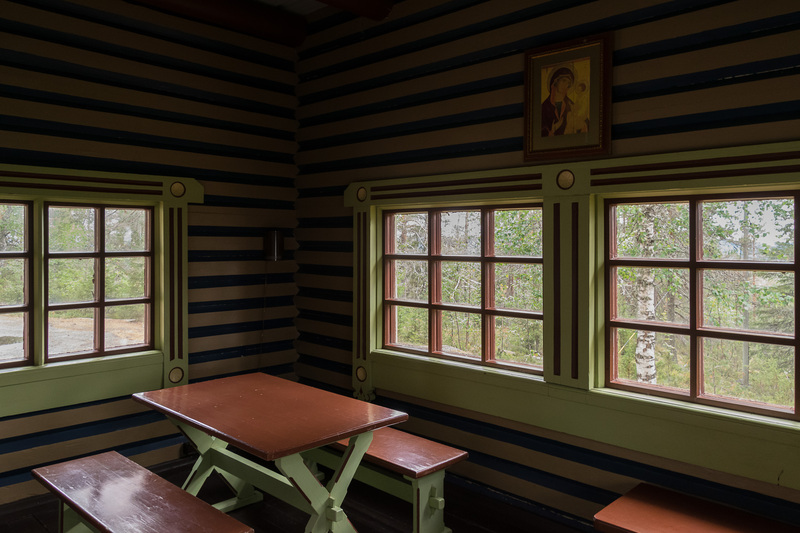 She’s wearing a Sami dress here; her family had Sami roots but generally identified as Finnish, since being a Sami unfortunately was not considered a very good thing in those days.